Globalization is a gigantic and amoral mechanism that may indirectly serve, but does not aim to achieve, the goals of justice, ethical standards, or economic and social equality. In One World, Ready or Not- the Manic Logic of Global Capitalism, William Greider offers a dramatic portrait of globalization as a blind and rampaging behemoth directed mainly by its own appetites. If globalization is somehow beyond the control of human agents, can it be compatible with the pursuit of social and economic justice? A related and overly abstract question social scientists and political activists have asked about globalization is whether it improves or degrades human life around the world. One approach to judging the effects of globalization has been to draw up lists of its pros and cons, its presumed advantages and disadvantages. Globalization is said to promote, among other good things, economic growth, job creation, democracy, the global market, information flows, cultural contact, and travel. Its disadvantages are said to include the enriching of the privileged and the impoverishing of the rest, poor working conditions, environmental degradation, the erosion of social safety nets, and outsourcing of millions of jobs to cheaper labor markets. The other problem is that it is an abstract and bloodless way to portray the human dramas and tragedies that result from globalization. 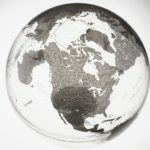 Calculating the effects of globalization requires us to acknowledge that what we are calling the globalization process comprises many subprocesses that have positive and negative effects on human populations. We often hear simplistic references to winners and losers, as if globalization were a contest that produces a final score that defines the fates of its victors and its victims. The primary thesis of this lecture is that the globalization process of the past four decades, ever since the golden age of capitalism came to an end during the early 1970s, has increased the advantages of wealthy institutions and individuals around the world at the expense of entire societies, along with the idea of the public good and the ideals of the welfare state. The major social and economic problem addressed in this lecture is the origins and consequences of extreme types of inequality that are inherent in the globalization process. In his book Making Globalization Work, the Nobel Prize-winning economist Joseph Stiglitz offers a series of critical observations about what he regards as an unfair and dysfunctional globalization that derives from the abuses of the special corporate and financial interests that have so dominated the globalization process. Stiglitz argues that globalization has harmed the developing world by promoting destabilizing loans and investments, by failing to stop the growth of poverty, by exporting to rich societies many of the best-educated members of poor societies, and by maintaining agricultural subsidies in rich countries where the average European cow gets a daily subsidy greater than what more than half of the people in the developing world have to survive on. The offshore realm of the global financial system is traditionally imagined to be a large collection of very small and exotic geographical entities, such as the Cayman Islands in the Caribbean or the principality of Lichtenstein, set high in the Alps and wedged between Switzerland and Austria. What could be done that might benefit the American economy? American business groups propose that the US should adopt a territorial system and stop taxing profits American companies earned abroad. The problem with this solution, one commentator noted, was the tax-free treatment of all the cash trapped overseas would cost the US Treasury $130 billion over 10 years and cause more outsourcing of jobs and production facilities out of the United States. Tax avoidance by corporations can threaten the economic viability of a nation. In 2011, the US Secretary of the Treasury, Timothy Geithner, raised what he called the basic question about whether it makes sense for us as a country to allow certain businesses to choose whether they are treated as corporations for tax purposes or not. Now in 2013, a wider and deeper reaction against the offshore tax haven system is underway. In April, 2013, the International Consortium of Investigative Journalists, a Washington-based group, released 2.5 million files documenting the offshore bank accounts and shell companies of wealthy clients and tax dodging corporations. Europe, The Economist magazine wryly observed, is turning on its tax dodgers. Any effective assault on the offshore tax haven system must be as global in scope as the system itself. The European bailout for Cyprus, that ruined two banks filled with offshore Russian money, sent a clear message that tax havens are not as safe as they once were. The US Foreign Account Tax Compliance Act puts pressure on foreign financial institutions to release information about their accounts held by their American clients. Singapore announced in 2013 it would make the laundering of profits from tax evasion a crime. News about Starbucks’ paltry tax payments to the British Exchequer embarrassed Prime Minister David Cameron, who proceeded to formulate a 10-point plan to combat global tax evasion for the G8 meeting in Northern Ireland in June of 2013. We might note that in 2011 Cameron’s coalition had passed a law that excused UK-based corporations from paying tax on their offshore earnings, an action one commentator called a corporate coup d’etat. Before the G8 Summit, a British government briefing declared that tax evasion and avoidance are issues whose time has come. The United States, another G8 member, is also a major tax haven. For many years, the tiny state of Delaware has enjoyed legendary status as the ultimate and unstigmatized tax shelter for corporations. Despite the actions against the global tax haven network, dismantling the offshore tax shelter system faces serious obstacles. Prior to the G8 Summit, Prime Minister Cameron managed to get all 10 of Britain’s Overseas Territories and Crown Dependencies to sign on to a set of core principles for the sharing of tax information. At the G8 Summit, the prime minister failed to persuade the leaders of Germany, France, Italy, Japan, the United States, Canada, and Russia to endorse meaningful action against the tax havens. He could not get Russia and Germany to publish national action plans to combat tax evasion. He failed to get the G8 leaders to agree that an agreement on automatic exchange of tax information should be open immediately to developing countries. A G8 declaration, that called on global officialdom to fight the scourge of tax evasion, rang hollow. Prime Minister Cameron told his global audience that the G8 meeting had produced a decorations that has the potential to rewrite the rules on tax and transparency for the benefit of countries right across the world, including the poorest countries in the world. Perhaps, at some point, the poor countries might be allowed to participate in a new G8 deal on the automatic exchange of tax information. One obstacle the prime minister faced, he says, was misgivings about handing over sensitive tax details to countries not deemed competent or trustworthy enough to handle it with care. Before the G8 and African Policy Group chaired by the former South African President Thabo Mbeki had proposed three topics for the G8 agenda, a global system of tax information sharing, the identification of the real owners of bank accounts, and public reports by multinational corporations about their tax payments in all of the countries in which they conduct business. It would be scandalous, the country director for ActionAid in Zambia said, if the G8 tax deal excludes African and other developing countries from access to tax haven information. Time will tell whether public outrage over offshore tax evasion will eventually force the hands of the Western politicians who have shown so little interest in consigning the offshore system to the dustbin of history. Are tax havens a new phenomenon? The tax haven system has basically developed along with the third phase of globalization, the global economic expansion that begins after the Second World War. The growth of the offshore tax haven system was facilitated by the general financial deregulation that occurred during the early 1970s. Since the ’50s, ’60s, ’70s, you have had this flourishing, expanding system of offshore tax havens, which we remember are not just small islands in the middle of the ocean that are fringed by palm trees. The term “offshore” does not refer to the geographical location of the tax haven. What does the expansion of the offshore tax system have to do with global regulation? One of the most important conclusions to be drawn from the operation of the offshore tax haven system is that global regulation has been essentially absent. Now, one development we’ve seen during the year 2013 is that in several countries, there was enough negative publicity about wealthy people and corporations evading taxes by the use of offshore tax havens that there was finally a critical mass of disapproval in the media that has actually prompted initiatives in the direction of regulating tax havens in a way that they never really have been regulated before. How might these tax havens represent colonialism in disguise? There are a number of offshore tax havens around the world that are previous little territories of the British empire. Little places like Jersey and the Channel Islands and certain small places in the eastern Caribbean, the Cayman Islands, for example, that had been parts of the British empire remained within the British orbit, you might say. The city of London and the financial interests it represents realized that these places would be ideal offshore tax havens and that they could be retained, in effect, as outposts for the purpose of financial manipulations, such as tax evasion, hiding, corporate ownership, shell companies that are formed so that wealthy ownership cannot be traced through a series of manufactured corporate identities. So what you have is a behind the scenes power being exercised by the people back in Britain and Rather phony non-representative governments. They may seem like representative governments, but these are going to be politicians, who, for the most part, have been easily manipulable by the big financial interests in London, who benefit from having these tax havens out there. How does tax avoidance promote social injustice? When you remove very large amounts of money from, say, African societies that need it for social development, the money’s been moved out of there by foreigners who are profiteering off a natural resource, say, or by the so-called kleptocratic dictator who is nothing but a thief and who has been able to stash billions in a place like Switzerland or other tax havens. If you have a corporation- and there are enormous corporations that pay proportionately very little in taxes. In other words, ordinary people with average incomes, even in the United States, that are really quite modest are going to have to be taxed if social development is going to occur, if there is going to be better health care, if there is going to be better education, if there is going to be a social safety net for 10s of millions of poor people, in the United States, many of whom need food assistance, for example. Where’s the real difficulty in regulating tax havens in the United States, like in Delaware? Delaware is the home to almost a million corporations, no doubt post boxes in certain buildings. It’s interesting that the campaign during the year 2013 against offshore tax havens tend to be focused on places like Switzerland, which has been manhandled by the United States Department of Justice, for example. They have slowly been brought around to cooperate with the American tax authorities, to a very considerable degree. I think there is a certain amount of political favoritism playing out here, because if it is wrong for the Cayman Islands off of Florida to be a tax haven, then why is it that the state of Delaware should not be subjected to the same kind of censure? There’s some selective indignation going on. How are these people going to be treated? What is their status as human beings who deserve certain kinds of social justice, certain kinds of protections? What are the responsibilities of the European Union with regard to many, many potential immigrants who want to go north to survive, to find work in the European Union? But the European Union and many, many European countries individually have had to figure out immigration policies.